I can fit in a Clan House. 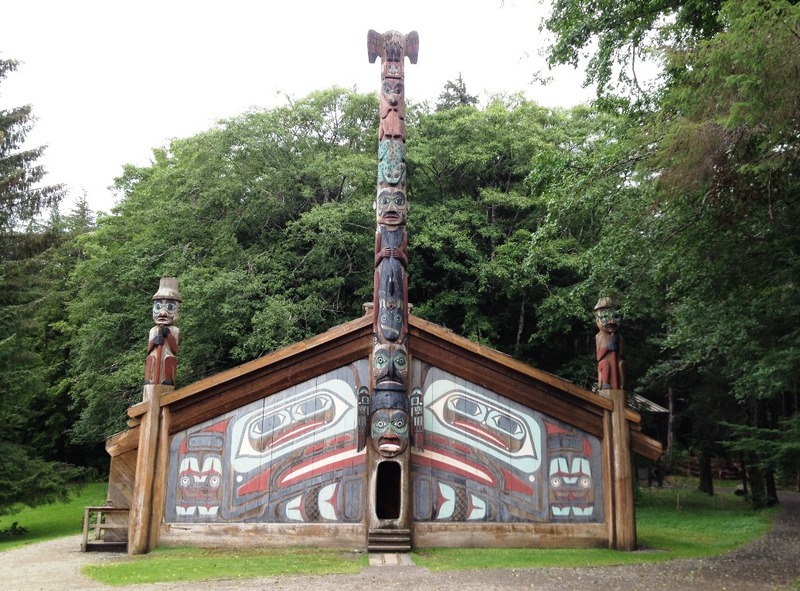 The whole fam damnly enjoyed a rainy excursion to Totem Bight State Park just outside Ketchikan. There’s no need to rent a car – just take the Silver Line city bus for only $1. 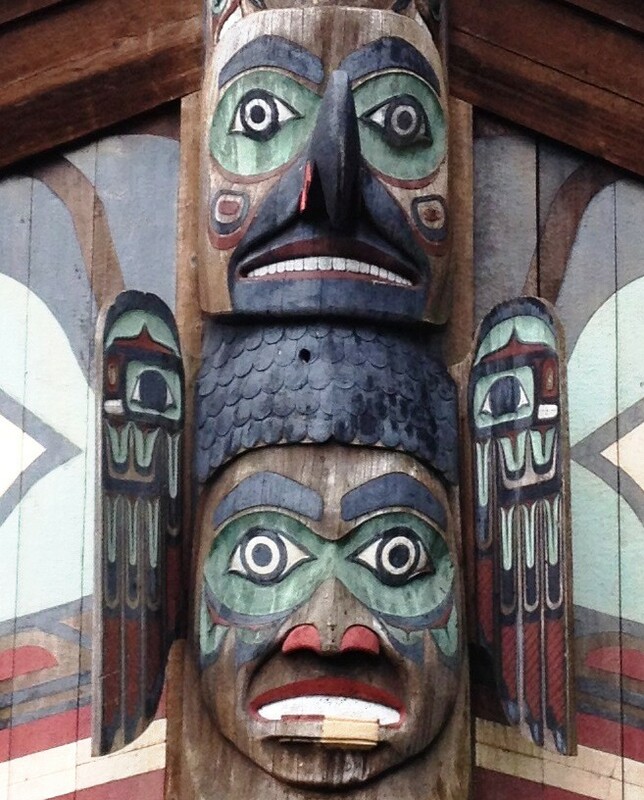 With the growth of non-Native settlements in Southeast Alaska in the early 1900’s, and the decline of a barter economy, Natives moved to communities where work was available. 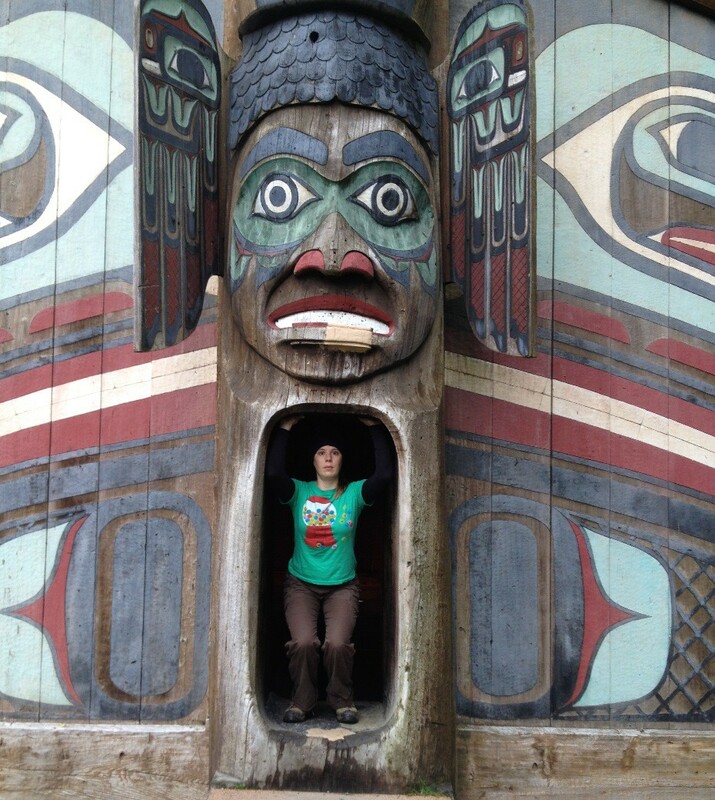 The villages and totem poles they left behind were soon overgrown by forests and eroded by weather. In 1938 the U.S. Forest Services began a program aimed at salvaging and reconstructing these large cedar monuments. 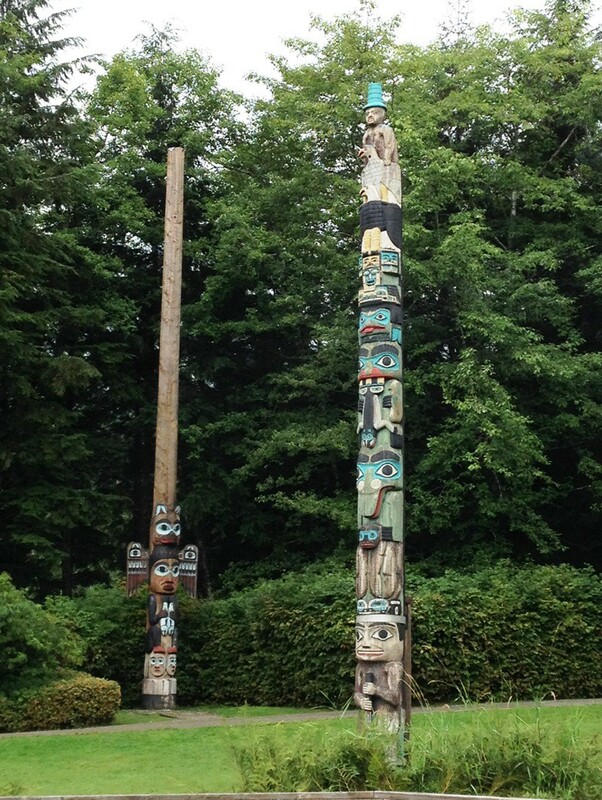 By using Civilian Conservation Corps (CCC) funds to hire skilled carvers from among the older Natives, two things took place: young artisans learned the art of carving totem poles, and totems which had been left to rot in the woods were either repaired or duplicated. I love the blue hat. 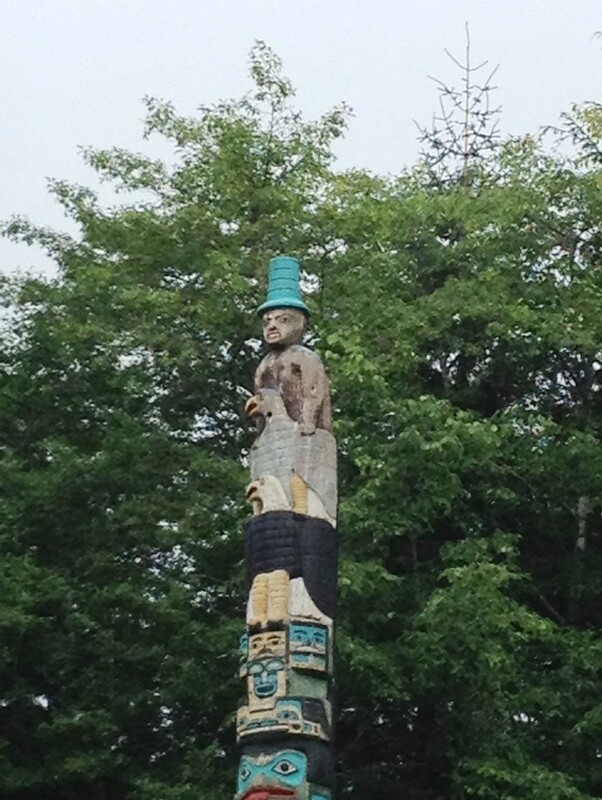 The Haida Watchmen wear tall hats and their figures are on the top of totem poles, that guard the house of the chief, from where they can keep watch over the village.